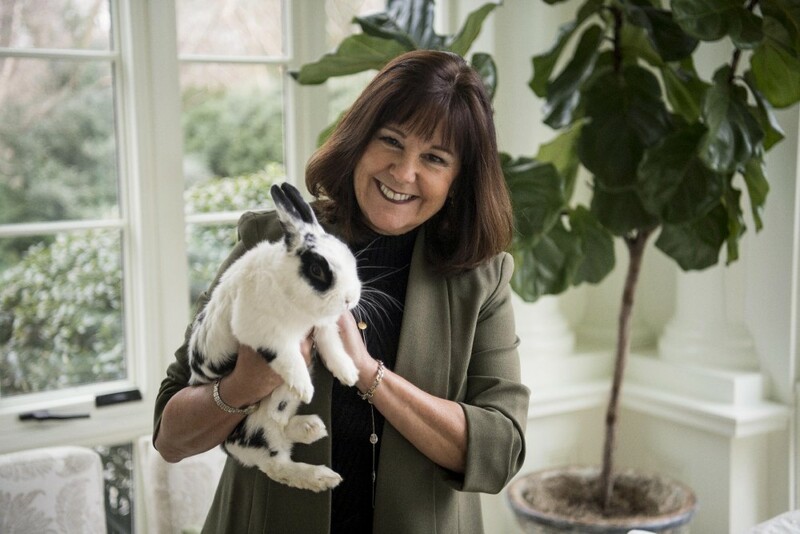 Rabbits are quickly moving away from being a pet for a little boy or girl into the mainstream and are now viewed as a trendy pet for many people. 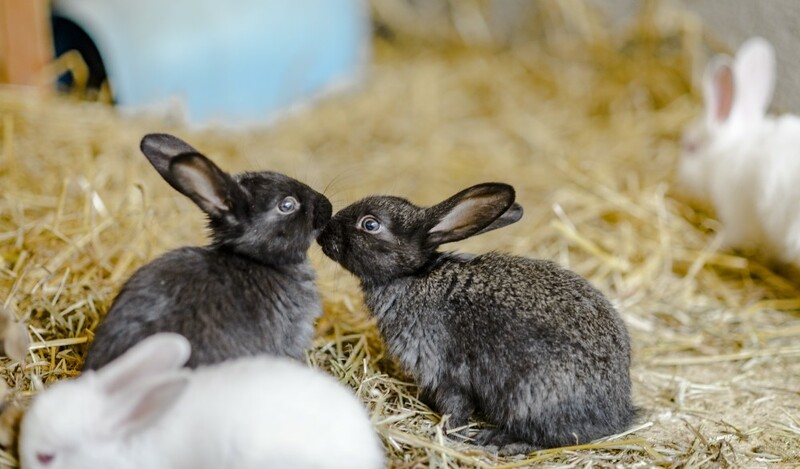 This means that the animals are no longer confined to a hutch in the backyard but can be found in all kinds of accommodations from the leafy suburbs to high-rise apartment blocks. While these animals do make fantastic pets, owners should be aware that they do suffer from stress due to environmental factors — especially high heat. In the wild, rabbits would burrow underground where the temperature is remarkably constant during the hotter parts of the day and emerge to feed and socialize when it’s cooler. Now that they are confined to cages and in some cases patios, they are unable to burrow and are thus exposed to the heat of the day. Their big ears help with keeping them cool, but they cannot tolerate hot conditions and being forced to remain in direct sunlight will stress them greatly. Rabbits will suffer physical stress if the temperature in their surroundings reaches around 80°F or 26°C. 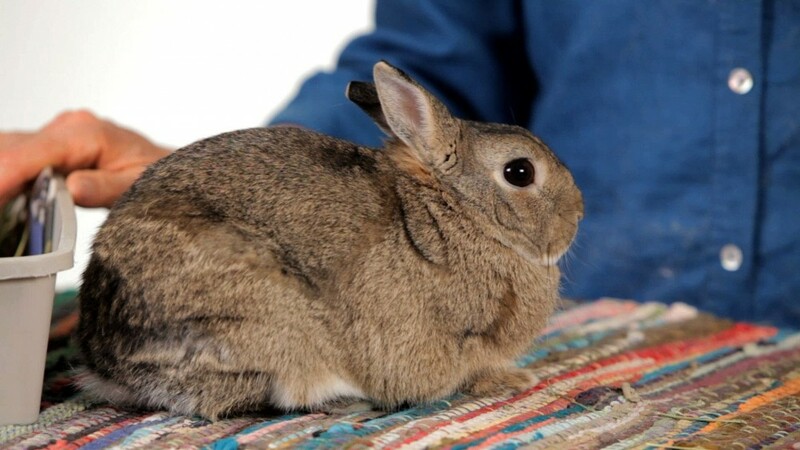 Here are a few tips to help keep your rabbit cool. Your rabbit must have access to shade, so keep the cage in a shady area or use a cloth or other cover to provide the animal with shade. Try to get a pet fan and point it at the cage to help with evaporative cooling. In this case, the rabbit’s ears will help it cool down. If it is scorching hot, freeze water in a plastic bottle and place the frozen container in the cage. You will probably find your rabbit lying next to the bottle to help it keep cool. Ceramic tiles or slabs of granite or marble placed in the cage will give the animal relief. It will be able to lie on the tile and the heat will be leeched from its body into the slab. Place ice cubes in its water bowl to lower the temperature of the water. If the air is very dry, an evaporative cooling system placed near the pet fan will help reduce the temperature of the surrounding area very quickly. This does not work in humid environments. There are several pet cooling mats available on the market. Placing one of these in the cage will do wonders for your rabbit’s comfort. If you currently keep your rabbit outside, consider bringing it into your air-conditioned home. These animals are highly intelligent, can be trained to use a litter box and become very tame and loving. You will extend its lifespan considerably by bringing it indoors and making it a member of your family. These intelligent creatures will find it tough living outside in a cage with no stimulation day after day.